Disney has released details on their upcoming Rivers of Light Dessert Party. 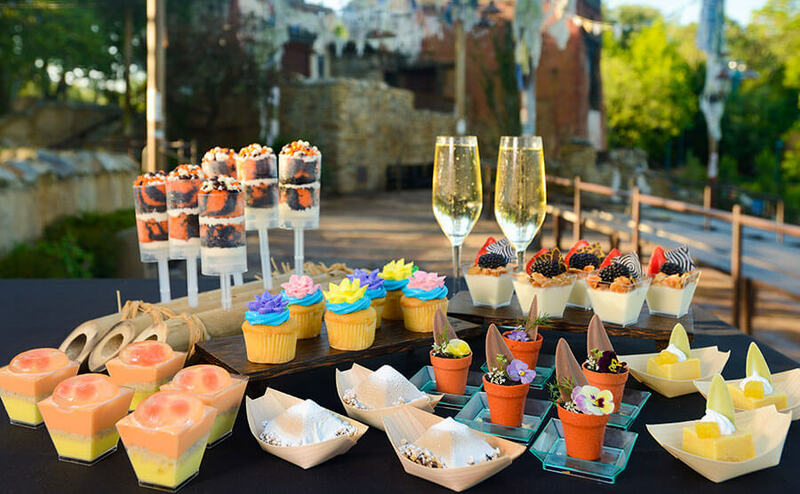 At the party you’ll indulge in Disney’s Animal Kingdom-themed desserts, snacks, and drinks before enjoying VIP views of “Rivers of Light.” You’ll start by checking in 60 minutes prior to the main show at the Rivers of Light Asia Viewing Area Terrace located across from Expedition Everest. From there you’ll enjoy your food and drinks. Once the show is ready to begin you’ll head down to the VIP Seating Area, where you’ll enjoy exceptional views of Rivers of Light. The parties begin on Monday, August 6, 2018 and are now available to reserve. The price is $79 for adults and $47 for children including tax and must be paid for in full at the time of booking.